What Mondo Macabro started, it looks like Severin have taken over – releasing really obscure European films, with great looking prints. From Joe D’Amato, Papaya (1978) has only previously been released on DVD by X-rated Kult in Germany and without any English options. As usual Severin’s release looks amazing. The film is a rather minor affair, the slow pacing will put some off but there is quite a bit to see (of Sirpa Lane in particular!) and D’Amato shows off his directoral talents in a way he is rarely credited for. Not a film for everyone, but if you don’t mind slow pacing and a couple of rather gruesome gore scenes (pigs guts anyone?) then this will be worth picking up. During their three decades of production, Hammer’s films were distributed by a number of different companies, and the rights to the DVD releases of these films generally remain with these firms. The Columbia Hammer titles have become the most sought after and for years the company saw no interest in releasing any of their titles aside from Revenge of Frankenstein. Fortunately that policy seems to have changed with the release of the Icons of Adventure boxset containing three all new to DVD Hammer adventure films, and a re-release of ‘Devil-Ship Pirates’ with a beautiful new transfer. In yet more good news Sony today announced that a horror set will follow later in the year including Two Faces of Dr. Jekyll, The Gorgon, Curse of the Mummy’s Tomb and Scream of Fear. The early 1970s saw the decline of the gothic horror film in the face of graphic new modern horror films. Production companies desperately tried to alter their styles but keep the same formats. This MGM double-film set shows how it was possible to do it well, and do it wrong. 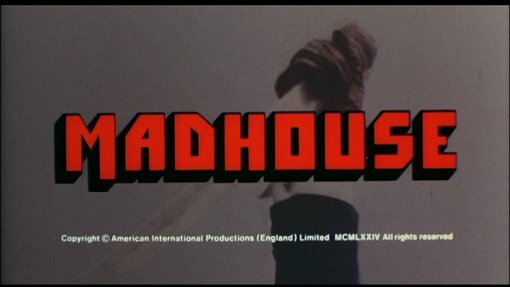 Starring Peter Cushing and Vincent Price, and a co-production of AIP and Amicus, Madhouse should be great, with a storyline about death on horror film sets – however the storyline is only good for about 45 minutes and the rest of the film is useless padding with loads of extra subplots that really detract. Not recommended. In contrast, the independent British film Theatre of Blood (1973) seems at first to be nothing more than a Dr. Phibes rip-off, but thanks to an original and highly literate script, and an amazing cast of British character actors it is really enjoyable and recommended. You are currently browsing the Mondo Esoterica – Blog blog archives for June, 2008.